Beautiful on a stick and tasty as well, these lollipop Swizzle Sugar Sticks are something to smile about! 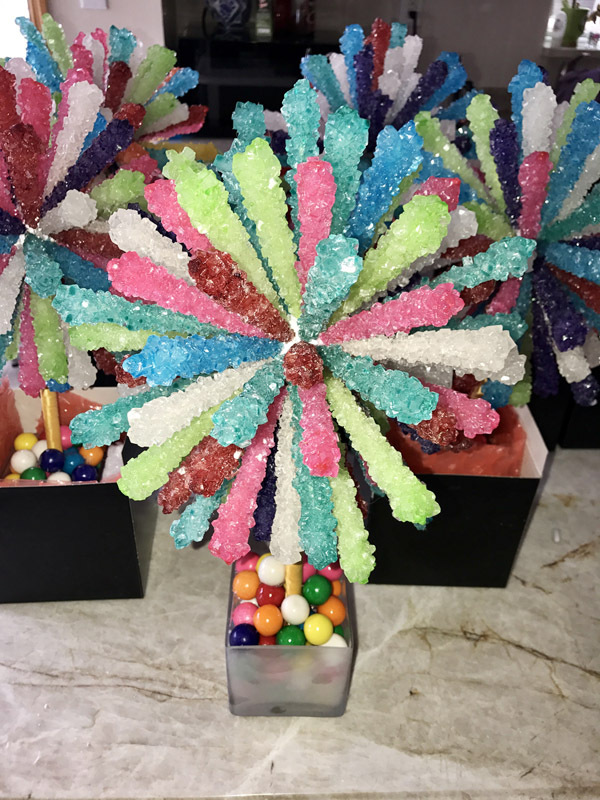 If you are looking to create a one of a kind, spectacular Centerpiece for your wedding, Simcha, Bar Mitzvah or a Birthday party – these centerpieces are not only beautiful but your guests will LVOE snacking on them. 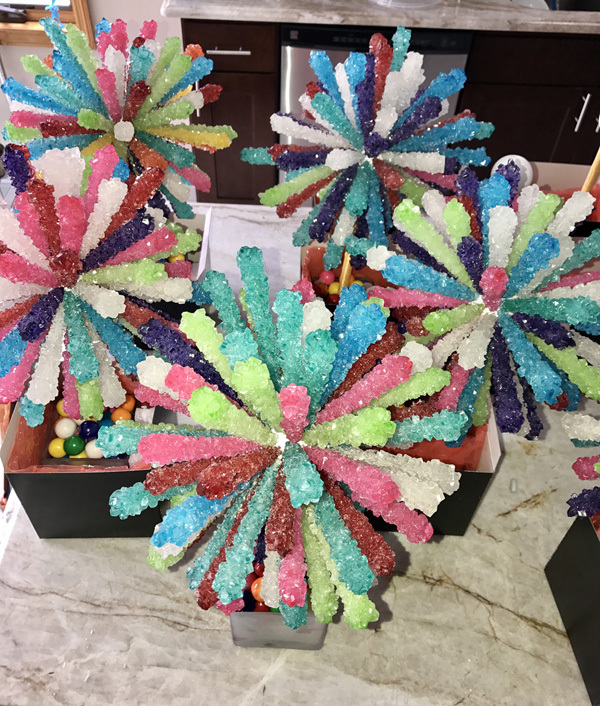 Full of color these rock candy crystals have a beautiful shine, creating a magical look that will complete your table. All you have to do in order to create this fun centerpiece is get a styrofoam ball – in any size you need/want – and some of Oh! Nuts candy sticks. You can use any color theme that fits your party/event. Cut off the wooden ball at the tip of the stick, and pierce the stick in to the ball – try and cover as much of the stick as possible, showing only the candy. Go along the ball until completely covered. For the complete finish look, add a wooden stick to the bottom of the ball and glue it to a glass jar. Fill the jar with candies and other goodies to create a yummy base. Take a look at our full collection of rock candy crystals on our website if you are looking for a specific color!